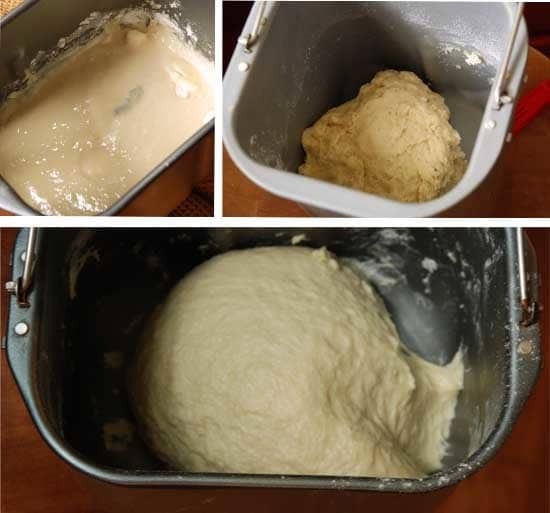 In this post, you’ll find guidelines and pictures illustrating How to Convert a Yeast Bread Recipe for Use in a Bread Machine. Don’t miss this recipe for Soft Garlic Sticks that taste a lot like the breadsticks at Olive Garden. 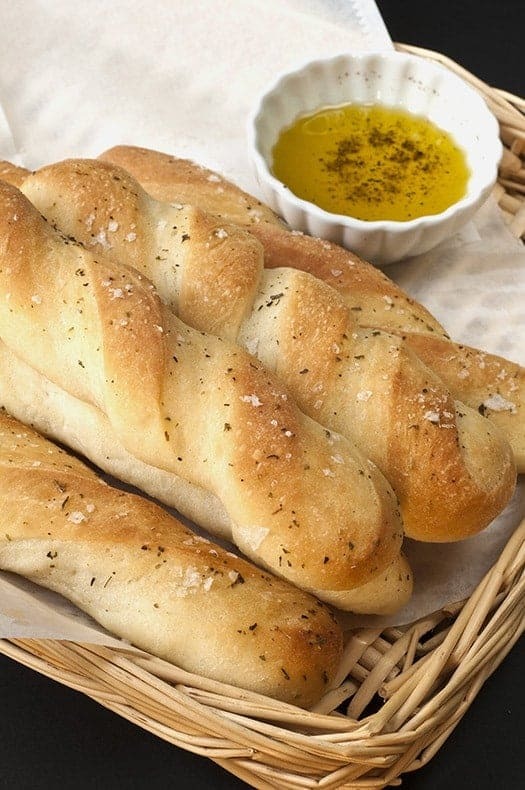 These soft and chewy bread sticks remind me of the ones at Olive Garden with one big difference. They will be hot and fresh when I eat them because I can bake them myself. However, I wouldn’t go to the trouble very often if I didn’t have a bread machine. By now, I hope you have been convinced to try mixing and kneading bread dough in a bread machine. If you have purchased or somehow obtained a machine, it’s time to master a few simple recipes. You may need to reduce the amount of flour. If the original recipe contains more than 3-4 cups of flour,you must reduce the entire recipe to the amount your machine can handle (average is 3 to 3-1/2 cups). Check the manual if you aren’t sure. For every 3-4 cups of flour, you will need 1-1/8 to 1-1/4 cups liquid. This comes out to roughly 3/8 cup liquid per 1 cup flour. If eggs are included in the recipe, one large egg is equal to a scant 1/4 cup liquid. If other wet ingredients are called for such as yogurt, mashed potatoes, sour cream, etc, regard them as half liquid. Put all wet ingredients in the pan first. Follow liquid ingredients with the flour, and then yeast (which should be instant or bread machine yeast). If using regular yeast, it must be dissolved first in a portion of the aforementioned liquid. The first few times you try a recipe, hold back at least 1/4 of the liquid and add it only as needed. The dough should make a tacky ball that sticks to the side briefly, then pulls away. Make a note of how much liquid you actually used for future reference. The amount needed can change slightly according to the level of humidity in your kitchen. If you have already added too much liquid, add flour one tablespoon at a time until dough reaches proper consistency. 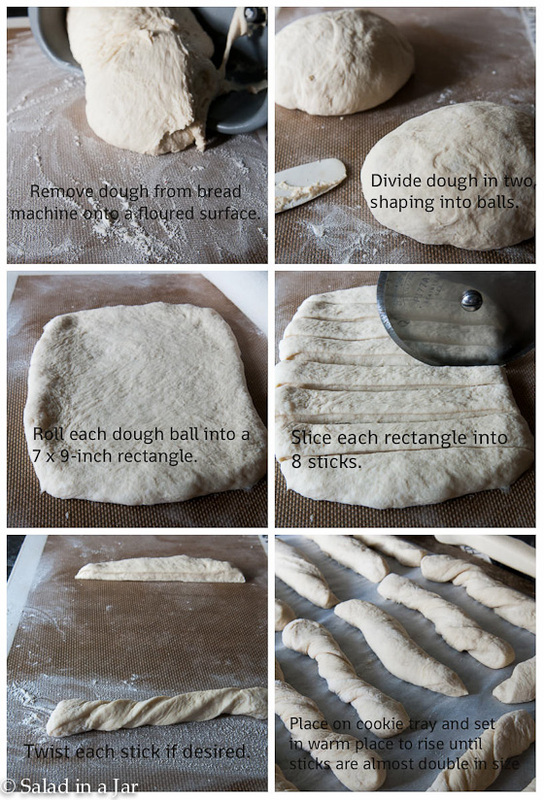 Your dough should look like the picture on the bottom. Refrigerator rolls or bread where you mix the dough and put it in the refrigerator to rise don’t seem to work so well in a bread machine. The dough is extremely sticky and is “kneaded” or mixed better in a stand mixer such as a Kitchen Aid. A few weeks ago, I saw a recipe for Soft Garlic Rolls on Annie’s Eats. A commenter asked Annie if they could be made in a bread machine. I knew instantly it would be an easy recipe to adapt so I tried it. Worked perfectly. This is the original ingredient list given by Annie as adapted from a recipe from King Arthur Flour. 1 cup plus 2 tablespoons lukewarm water. Reverse order of ingredients so water is first. Flour will be next to last with yeast being the final ingredient added. No need to reduce the flour in this particular recipe. My machine will handle 3 cups of flour just fine. Yours probably will too. Add up the liquid in the original recipe. In this recipe, you will get 1-1/4 cup plus 2 tablespoons. How to roll out and form garlic breadsticks. This is a beginner’s guide–a good place to start. Substituting different kinds of flour makes the game more interesting but also more complicated with less predictable results until you have some experience. This is a bread machine recipe for yeasted garlic bread sticks that taste similar to the ones at Olive Garden. Place ingredients in order listed into bread machine pan saving 1/4 cup of liquid. Select dough cycle. After about 5 minutes, lift the lid as machine continues to knead and add water 1 tablespoon at a time, as necessary, until dough forms into a ball but remains tacky. When cycle is completed and dough has risen, remove from bread pan. Divide dough in half and shape into two balls. Roll out each ball into a 7 x 9-inch rectangle. Use a pizza cutter or large sharp knife to cut each rectangle into 8 strips. See picture above. Twist each strip to disguise imperfections and place side-by-side on greased baking sheet or one covered with baking paper or silicone mat. Allow to rise until almost double. Brush with glaze, sprinkle with sea salt and bake in preheated 400 degree oven for 15-16 minutes or until golden brown. Serve warm. Thank you so much for the blog. It has inspired me to bake! I have had a bread machine for years and it has been collecting dust. My daughter told me about your website for the dinner rolls and they turned out perfectly. I am now branching out and believe that I have found my inner pastry chef. Thank you again! You’re welcome, Ann. Thanks for writing. Happy Bread Eating! This is really useful! I have a ton of recipes I’d like to convert for bread machine use. Thanks a lot! I love to use my bread machine to try out different recipes. But I found some dough to be really hard to handle, especially if the yeast is not designed for bread machines. I just bought a new Zojirushi BB-PAC20 and it is a fantastic mixer. I’m looking forward to more posts like these so I can play around with it more often! This is exactly what I need. I love breads but I hate baking. I only do it in the bread machine. Thanks Paula. 🙂 Very useful post. My dough cycle runs for 1 hr and 40 minutes. I don’t think yours is too long at all. Hi! 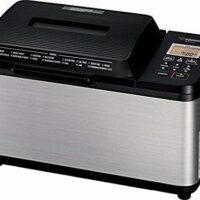 Im definitely a newbie and want to try my bread maker also for baking my bread. 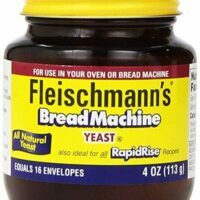 My question is can you use regular Fleischmann’s Yeast in my bread machine or do i have to use a special yeast for a bread maker? Also what brand of flour do you recommend? May, Yes, you can use regular yeast in a bread machine but it needs to be dissolved first. Stir the yeast into 1/4 cup of warm water, add a pinch of sugar and water for it start bubbling. Then add to the other ingredients. No need to do that with bread machine yeast or instant yeast. Just dump it in with the rest of the ingredients and it will dissolve as it mixes. Much easier. 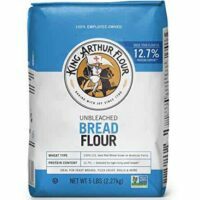 About the best flour, King Arthur is very nice…and very expensive. But you can also make wonderful bread with just about any brand if you know how to adjust the flour and liquid to get the best consistency. See this post for some instruction about that. It doesn’t really matter much. I would add at the same time I add the flour. Made this recipe into dinner rolls that were outstanding! The texture was so light and tender. I accidentally added a full package of active dry yeast into the dry ingredients instead of 2 tsp. of instant. Worked beautifully! The warm milk and water did a great job of activating the yeast as it mixed. I was afraid the bits of garlic would overbake and become bitter, so I added the garlic and herbs to the butter and melted it all together. I brushed the tops with the now infused butter, not adding the garlic bits. When hot out of the oven, I brushed the rolls again with the butter including the bits of garlic. They were sooo good!! The garlic had lightly cooked when melting the butter and it was majorly delicious!! Ate have the recipe myself in one binge! Am new to your blog and happy to have found you! Happy New Year! Thanks for a great recipe that will be enjoyed many, many times! I’m continuing with my questions about starting bread in a machine and then finishing in the oven… I saw that I should dump it out onto a floured surface and rise again. That would be 4 rises! Can I just dump it out after rise #3 in the machine into a buttered loaf pan? No, you must let it rise after it is placed into the pan. Perhaps you could dump it out of the bread machine pan after the second rise and let the third rise happen in your loaf pan. Failing to let the dough rise properly in the pan will result in a heavy lump of a loaf. I’m so glad I found your blog! I am new to bread baking. I bought a West Bend machine because I liked the shape of the pan and the fact that it had 2 blades to handle whole wheat better. I made 4 loaves that were okay but today I’m making them for gifts and every one of the loaves rises unevenly. I read that I needed to add 1-2 tsp of water, did that and they were hard. So, after reading your article,I’m going to take it out after RISE 3 and place it in a loaf pan. I can’t seem to find a general time and temp to bake. Can you help. These are basic white loaves for gifts but most of the time, we will be making 100% whole wheat. You are asking a question that I can’t really answer for a specific recipe I haven’t tried myself. It is a matter of trial and error to some extent. Please check out this post for more details on where to start. You might try looking for a recipe in my index that is similar to the one you are using and follow the baking instructions. Since you are new to bread baking, I highly recommend you get a quick-read thermometer like this one on Amazon http://www.amazon.com/Digital-Cooking-Thermometer-Alarm-3518N/dp/B0001BFJ54. Bread should generally reach 190 degrees before you take it out of the oven. By the way, 100% whole wheat can be tricky for bread-baking beginners and even more so in a bread machine. Don’t feel too badly if they don’t turn out as hoped in the beginning. Some recipes work better than others. You just have to experiment. Any with potatoes in it usually work well but you can do it with other doughs, too. Just curious especially for a recipe like this, could you take the dough from the machine, shape it and possibly refrigerate until you are ready to bake? I like to get a lot of prep done during the day if I can but with dinner rolls I definitely want them hot out of the oven at dinner time. Wow, what a great site you’ve put together! Love the salad in a jar idea and will definitely give it a try. I love salads and I make my own dressings so I’ll really enjoy that. Just want you to know that all of your advice and the posts on here continue to be help people enjoy great bread and resurrect their machines. Although they’ve come in price, my Black & Decker one was $260.00 new. That’s a lot of money for a handful of uses to I’m delighted to be back at it. There’s just nothing quite like fresh bread from the oven and it’s a nice thing to bring to a friend or neighbour as well. Can i make dough for biscuits in a bread machine? I have a bread machine book and it does not have a recipe for biscuits that i can use. No, I would not recommend that. Biscuits need to be mixed very lightly by hand. Those would be some tough ol’ biscuits. Thanks a lot for the great recipes, Paula. I tried many of them. They were delish thanks to your useful directions. You’re welcome Safa. Thanks for writing. I want to give this a try. I have an old family recipe that calls for 10-12 cups of flour. I would reduce that to 3. My concern is the yeast. I use one packet of Fleishmann’s traditional yeast. How much would I use in the machine? Wow! Only one packet for that much flour? I’m guessing that is some slow-rising dough. If it were me, I would start with 2 teaspoons of bread machine yeast and adjust from there. I found the recipe for a refrigerator roll that is made in the bread machine. I am going to try it. Now only if there was a recipe for people who didn’t have a bread machine! Jaime, Actually, the original recipe printed in this post is for people who have no bread machine. Enjoy. I know this is a really old post but it’s so helpful! I just have one question…I’m always confused about yeast. I have a jar of “bread machine yeast”. Is that the same as your “instant yeast”? I’d love to find a tutorial about all the different kinds of yeast and how to convert a recipe from one to the other! Thank you! I am making these to serve with homemade ratatouille tonight! Thanks for an awesome recipe! Is you bread machine the 1 lb. loaf, or the .5 lb? I have a .5 lb. so I’m not sure if it will all fit… I may make it by hand. But either way I am going to make these DELICIOUS bread sticks tonight! I have been cooking and baking for over 37 years, and your blog has changed the way I bake. I have used your wonderful recipes for bread machine breads, and converted many of mine. I cannot believe how wonderful tasting and easy everything is. I can’t believe I allowed my bread machine to sit idle for so many years on a shelf in the basement. Thank you again, for all your recipes and suggestions. If anyone out there has not tried this yet. DO!!! You will love it !!!!! I just have to work out extra everyday to keep fit, for all the extra baked goods around here now. These look great, and since catering is at a stand still and I don’t have a new job yet I have time on my hands to try new things. But there are only two in the house, so can I refrigerate some of the finished dough and bake at a later time, Also enjoy all the recipes, many have given me ideas for new recipes of mine own. Mmm, fresh warm garlic bread sticks sound lovely. I think I’ll try this out. Thank you so much for posting this! We just started using our bread machine to make all of our bread about 2 months ago, and we haven’t tried a wide variety of recipes because we didn’t know how to adapt recipes. I am bookmarking your page so that I can refer to it often. Thanks! This is wonderful! Thanks for converting to a bread machine recipe. Lovely picture to. Great information! I’m going to pull out my bread machine so I can make rolls next week- Those garlic sticks sound yummy! I just had to say that those photos are beautiful and that I love the shaping of these. I want to try it today! I have some Artisan Bread in Five Minutes dough sitting in the fridge and I’m going to attempt to make mine as pretty as yours. 🙂 Thanks for the inspiration. This receipe looks great, can’t wait to try it. I’m having trouble making my bread come out soft and chewy, almost like the kind you pull apart. What am I doing wrong? I’m ready to give up on my bread machine. Thanks. Are you baking it in the machine? I almost never do. The crust is usually too thick and crunchy. I use my machine ONLY for mixing and kneading. Have you tried My Favorite Dinner Rolls? They are soft and chewy–just what you’re looking for. But you have to dump the dough out of the pan, shape, let rise and bake in your oven. Small price to pay for hot, homemade dinner rolls. that`s a really useful post!